It is again a bad news for every citizen of India. May it be an Industrialist of a Big Automobile company or may be a common man who drives a car or even a common two wheeler driver. The petrol prices have once again jumped, this time by Rs 3.14 per litre after a steep Rs 5 per litre increase in May 2011. Immediately after the rise in petrol prices, the very next day the hike in Key Bank rates have been increased by RBI to tame inflation. All these factors have hit the businesses across the country severely. 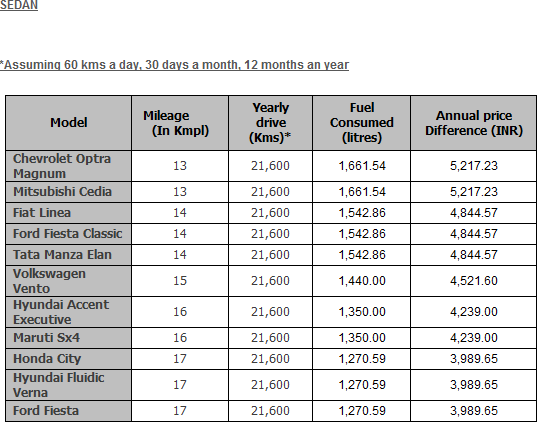 For the detailed analysis of the impact of all these please refer to Industry section on our website. 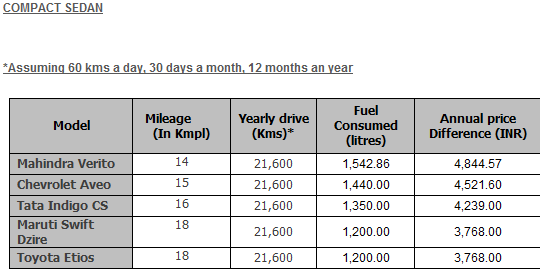 Now, after the steep increase in petrol prices, our team has done an analysis on what would be the impact of Increase in YOUR ANNUAL FUEL BILL after the petrol rose by Rs 3.14 per litre. 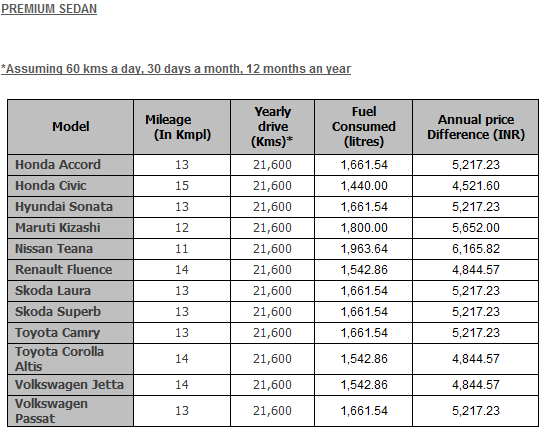 If you own a petrol Sedan, below is the analysis for you. Honda Brio to be launched today!!! Renault India Strategy – Continued!!! Ducati 1199 Panigale Superbike caught testing!!! 2012 Skoda Superb facelift - spy shots !! !